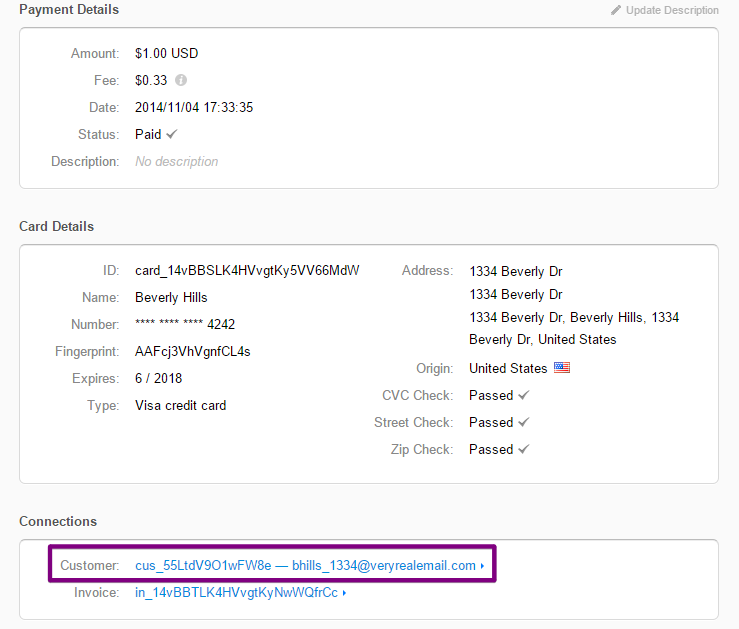 Further customer email id is not passed to stripe. I cannot see the customer email id in my stripe dahsboard. Please allow me some time to run a few tests on my side and I'll get back with you. 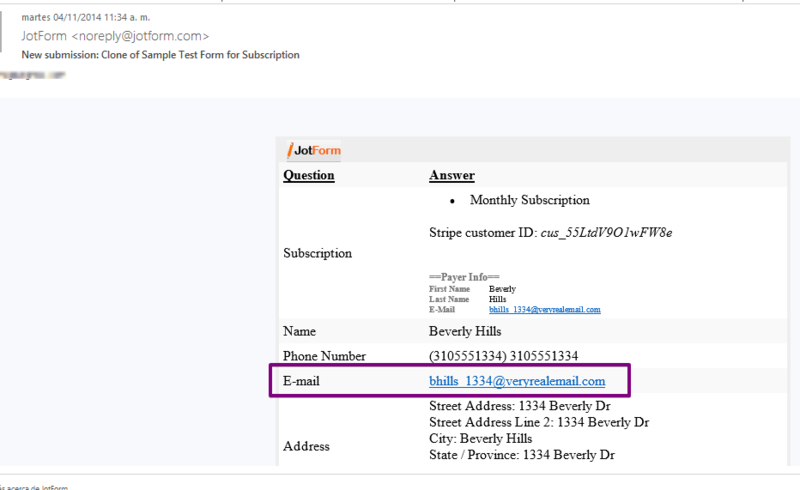 Are you referring to this form: http://www.jotform.us/form/43074583643155? If this is correct, you need to set the email address field as required. I did a test with a cloned version of your form and the email is captured on Stripe's dashboard. 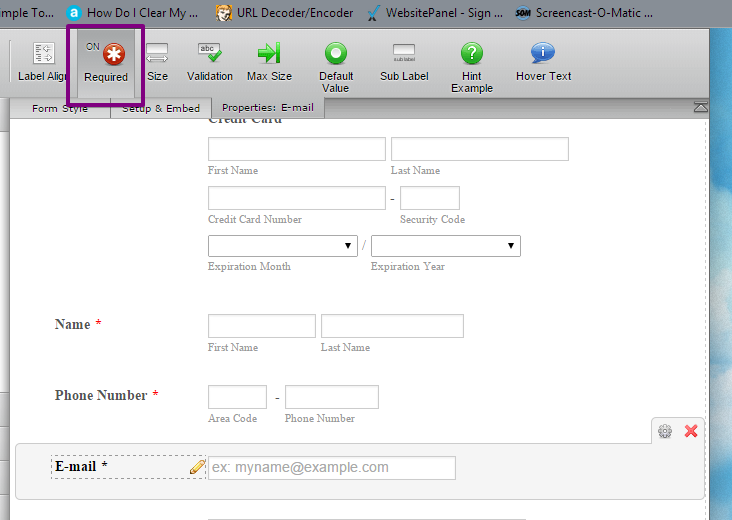 Please try to change the email address of your form to Required and let us know if this works. It changed the email id to "required", but still stripe is not getting the email id of customer. Before forwarding this situation to our developers I kindly ask you to try cloning your form and then integrating with Stripe again to see if it solves the situation. I will perform further tests to try to determine the cause of this situation. Ok, please let us know if cloning the form works for you. No, it has not worked. I'm escalating this thread to our developers so they can take a look at it. When they have a response they'll be updating this thread. We do apologize for the inconvenience this might have caused for you, but at this moment I can only tell you that our developers are looking into the issue and that the issue is marked as very important. This means that they are actively working on it and that they will update you as soon as they find the cause through this thread. 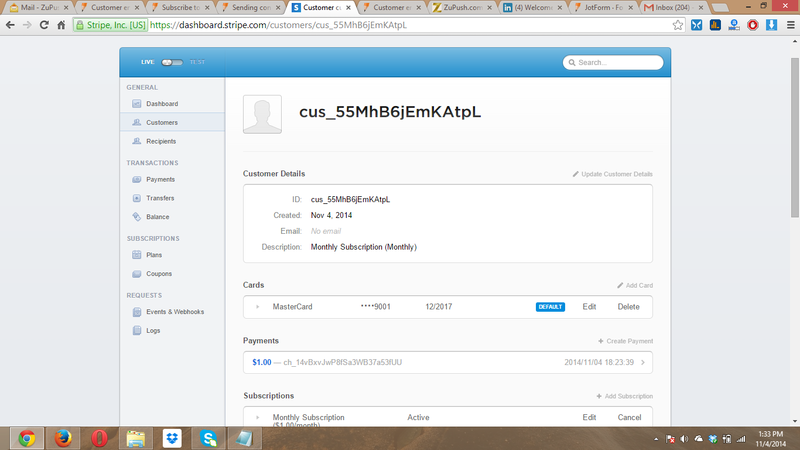 I am able to collect the email id when the customer makes the payment. Thanks a lot for effort of your team. You can close this ticket/thread.